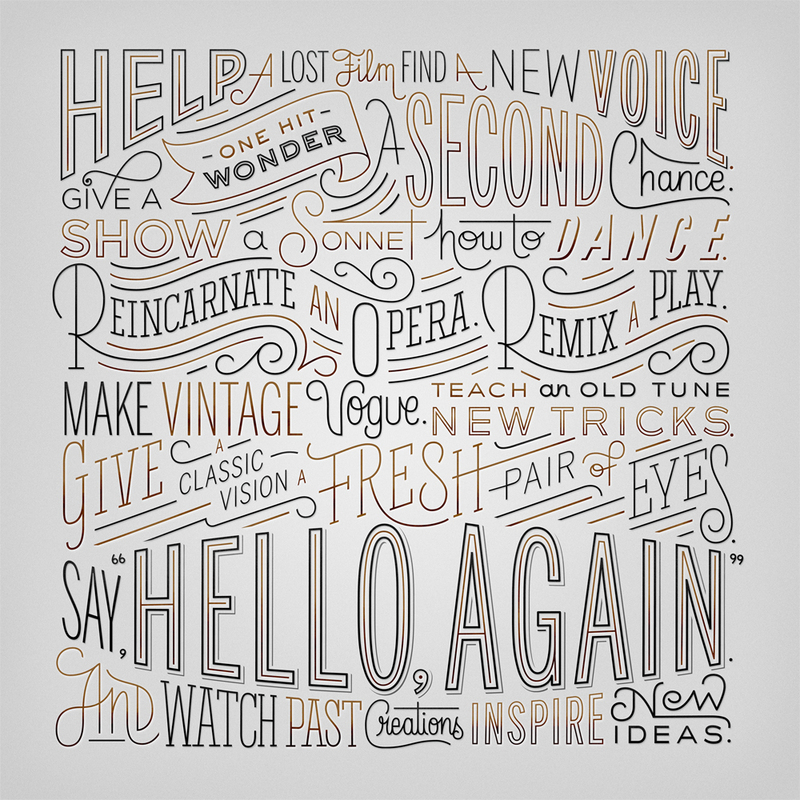 A piece I created for the new Lincoln Motor Company campaign called, “Hello, Again” launched earlier this month. I was asked to illustrate the campaign manifesto and took the opportunity to turn it into a lettering extravaganza. Go America!